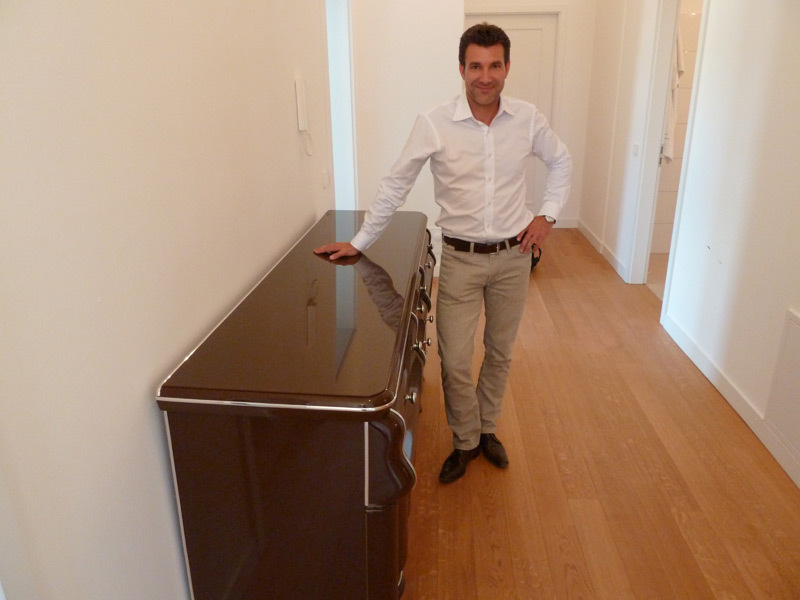 In the last week of May 2011, we had the honor to deliver Carl Uwe Steeb with a brown Art Deco Sideboard of OAF. Carl Uwe Steeb has been a well-known German professional tennis player during the 90s. He reached position 14 in the world rankings and won the Davis Cup twice in 1988 and 1989 together with Boris Becker against Sweden. 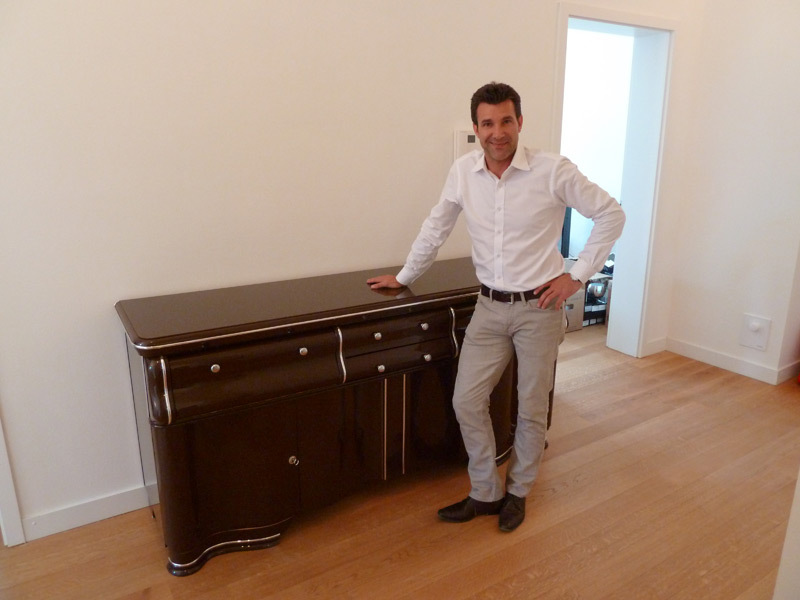 We delivered a brown painted Art Deco sideboard in his new apartment in Stuttgart which Charly had chosen from our website. He gladly agreed to say a few words in our camera. Thank you and we hope you enjoy this wonderful piece!! !